Earlier this week I could have sworn I saw a tweet on my feed that mentioned a butternut squash pasta dish with blue cheese, chilli and thyme, however I can’t now find it again and have had butternut squash cravings ever since. Not only could I not find the recipe on my twitter feed, I also trawled the internet for a recipe with all four ingredients and returned zero results. So, ladies and gentlemen, here is a truly original recipe made up on the spot on a random Thursday in January. Enjoy! Pappardelle pasta – I used fresh as that’s what Waitrose had, but any pasta would work I think. 1. 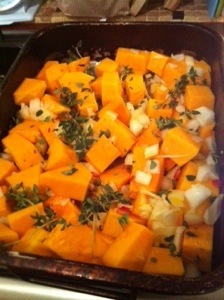 Put the chopped squash, onion, thyme, garlic and chilli in a roasting tray. Toss with olive oil and put in a preheated oven (180 degrees C) for 40 mins or until soft. 3. Heat some oil in a deep frying pan or wok. Fry the squash mixture for a few minutes and then add the pasta. 4. Allow the pasta to fry for a couple of minutes to add flavour. 5. Crumble in the blue cheese and as soon as it starts to melt, serve in warm bowls. Post-dinner note: We enjoyed this meal, but think next time we’d add some pine nuts for added texture, and would also put the finished pasta in an oven proof dish with a covering of Parmesan and grill/bake for a while. 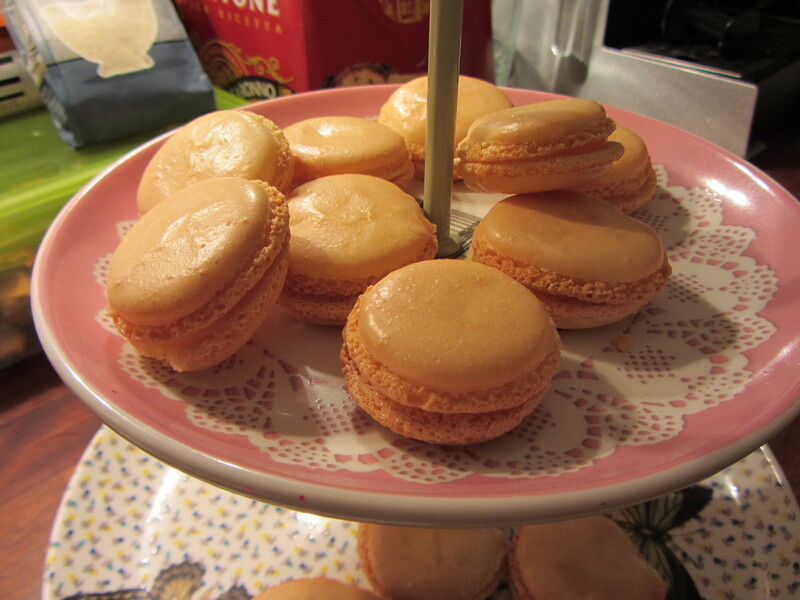 I recently made some macarons (or maybe that’s macaroons?) 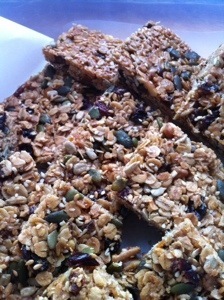 which turned out to be an awful lot easier than I was led to believe from watching the Great British Bake Off! 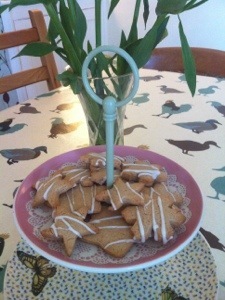 To fill the centres I used homemade lemon curd, which again seemed RIDICULOUSLY easy to make. To be honest I was left wondering why I’ve never made it before. So much so that I thought others may like to make it! Firstly put the zest and juice of all the lemons in a pan over a low heat, then add the cornflour and mix to dissolve. Then add the sugar and stir until it’s all combined. Once that’s done you can add the eggs. Give them a bit of a whisk first, then add them to the lemon mixture. Then increase the heat to medium and stir constantly while it thickens. It takes less than 5 minutes. I thought it was never going to happen and then suddenly it was lovely and thick. 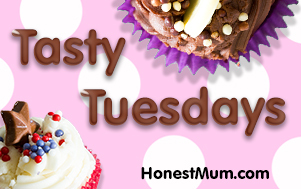 Once it’s nice and thick you can put it in a jar (it makes enough for one jar) and once cooled it can be stored in the fridge for about a week – if it lasts that long in your house, it doesn’t in mine! See, easy or what? Enjoy!